The blue-footed booby is one of the most iconic birds in the Islands, but after locals noticed their population declining, a team set about trying to find out why. 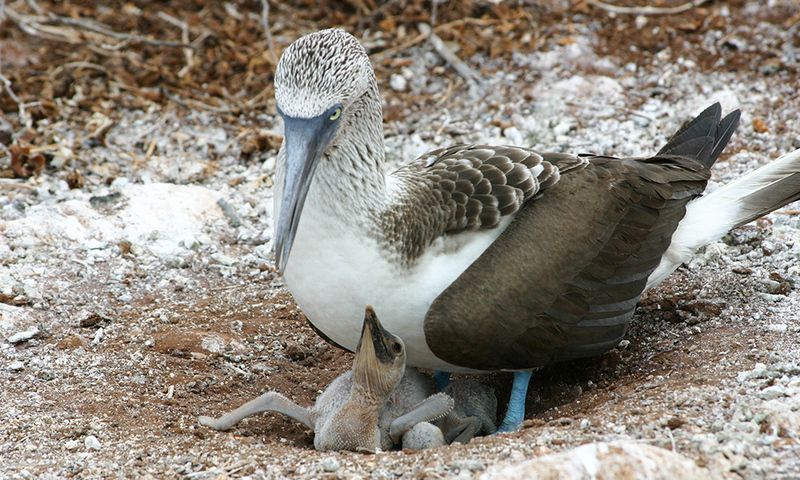 The lack of information on the population size of blue-footed boobies (Sula nebouxii) is surprising given the high profile of these charismatic birds. Early research identified two population colonies found on the islands of Daphne (“some 1,000 pairs”) and Espanola (“around 500-800 pairs”). A problem for current research is that long-term monitoring data for population sizes is constrained to these two colonies, neglecting populations elsewhere. Responding to reports by locals who had noticed a remarkable reduction in blue-footed booby numbers, Professor Dave Anderson of Wake Forest University and David Anchundia, an Ecuadorian Master’s degree student, began a two year study to produce some population benchmarks for the species. By recording demographic information such as the annual adult survival rate and reproductive success, the project will provide the parameters necessary to create a model that can estimate the population’s rate of change. Another aspect of the project is to investigate foraging behaviour of breeding blue-footed boobies, as virtually nothing is known about this. GPS units can be used to produce detailed tracks of foraging blue-footed boobies, providing invaluable data regarding foraging hotspots. This technique will be used to develop an understanding of variable foraging constraints and short-term reproductive success. 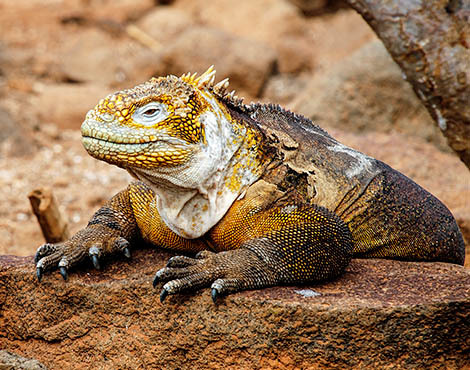 The project (supported by GCT, Galapagos Conservancy and the Swiss Friends of Galapagos) was completed in April 2014 and the latest research paper suggests that the decline in breeding activity is most likely tied to a simultaneous decline in clupeid fish, especially sardines (Sardinops sagax). 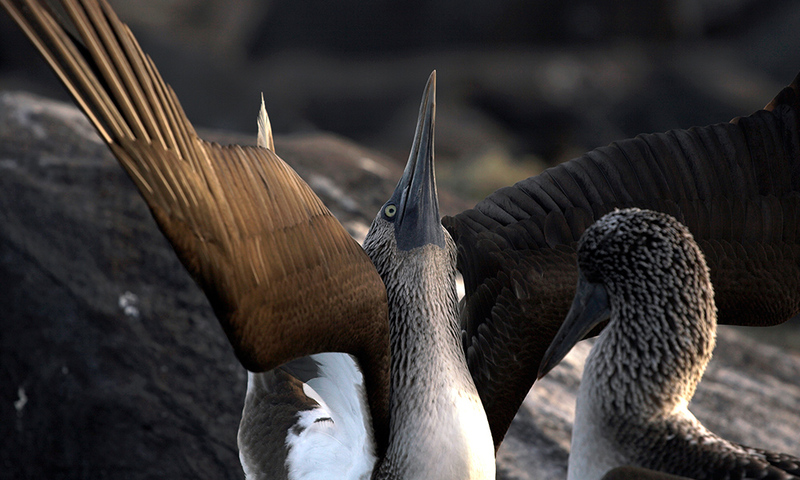 An aging booby population has potentially vast implications for biodiversity and ecotourism on the Islands. These findings highlight the need to maintain a healthy, sustainable marine environment when the risks of climate change continue to grow. Like other coastal bird species, blue-footed boobies are likely threatened by marine plastics. Help us better understand which species need our help by donating to our Plastics Appeal. 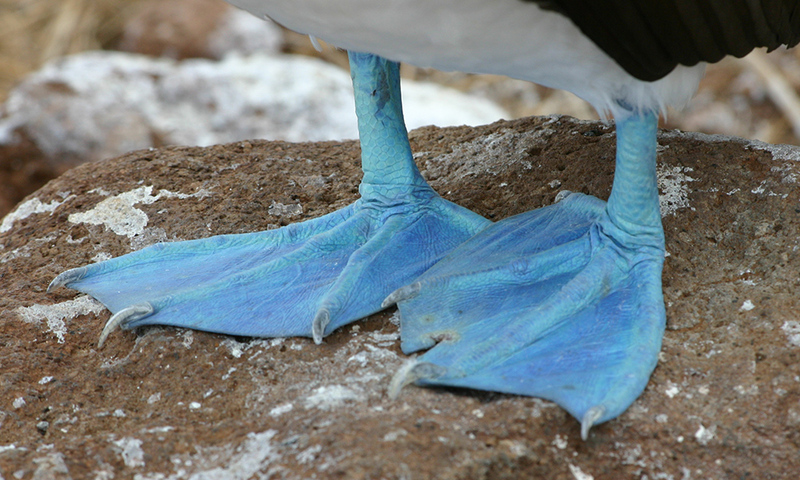 Why do boobies have blue feet? Read our blog article to find out the answer!